3/11/2019 - As expected the President is eliminates funding for libraries in his budget. So it is time to get messages to members of the House of Representatives to sign the “Dear Appropriator” Letters. This action call link below is for everyone. So thanks for sending it out to all of your lists. A message to the Chapters to create and send your letters for IMLS and IAL will be coming soon. Thanks for all your help on this! So, how do YOU do extraordinary? Tell us at the conference! We are accepting proposals for presentations and talks from all members of the library community. 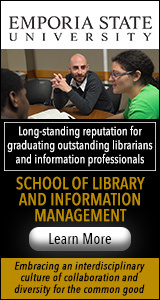 Clerical and non-MLIS staff are especially encouraged to submit proposals. Contact If you have a question about your proposal, please contact Program Chairs at ProgramChair@cla-net.org. 1/2/2019 - The California State Library has awarded California Library Association a $1,000,000 local assistance grant to support the expansion and enhancement of the Lunch at the Library program for Summer 2019. These funds are intended to expand the number of, and enhance the quality of, library meal sites in California.